My reason for choosing Forever Young as my internship location was simple – aside from the opportunity to market my work, it has given me an opportunity to begin learning more about the Tattoo business, in hopes of discovering whether it is something I want to pursue after my graduation. Over only a few months, already I feel that I have a better grasp on what could be expected of me as a student artist as well as what I would be expecting if I were to become a professional tattoo artist. Since this is one of the major professions I have been considering, I feel that the things I have already learned will be invaluable in making that choice and I cannot wait to learn more over the rest of the semester. Through my internship at Forever Young Tattoo, I have had the opportunity to begin marketing myself and my work more thoroughly in Tallahassee. Over the past few months, I have begun creating a selection of work to present at events such as Market Wednesday and Gaines Street Fest, as well as First Friday, and through the process have learned much about how to present myself and my work to draw in customers and viewers. Though I have had similar opportunities in the past, I have never been able to dedicate so much time to promotion and designing new works. 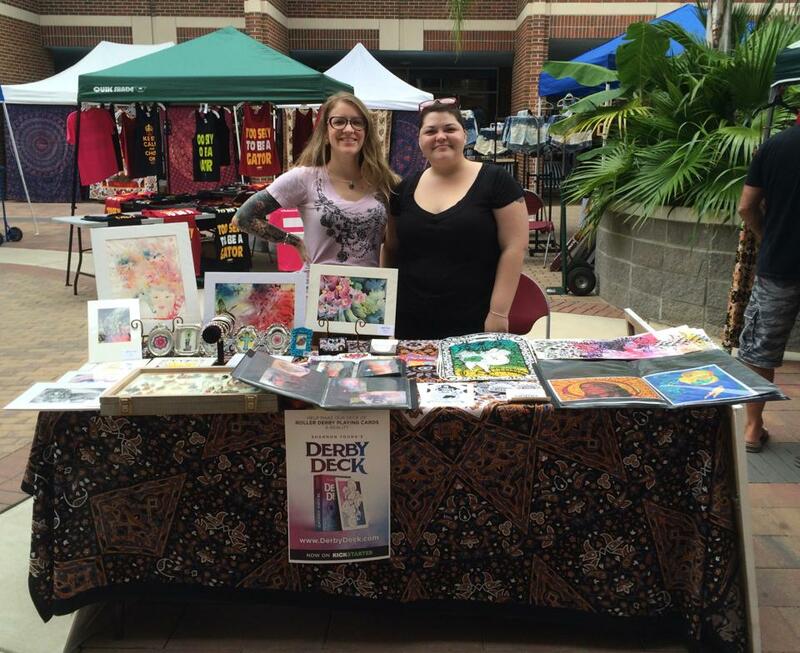 I have also had the opportunity to learn from Shannon about pricing my artwork and marketing myself as a professional artist in the process of looking for commissions and projects. Though the show was cancelled, I was very excited to be selected for a showcase in Orlando this month by a group which found me through my online presence, and truly hope to participate in one of their upcoming showcases. In addition, over the last few months I have been working to submit works to many shows around the state, as well as taking the opportunity to begin organizing a show at the Oglesby Union Gallery next semester. I am hoping to continue working to present work in cities other than Tallahassee, and to learn more about the industry I hope to become a part of.